Home > Books > The Rally Board: The Story Of A Journey Through Pediatric Surgery And The Valuable Lessons Learned Along The Way. 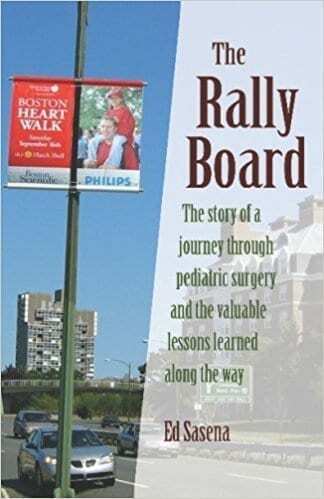 The Rally Board: The Story Of A Journey Through Pediatric Surgery And The Valuable Lessons Learned Along The Way. “The Rally Board” is a true story about how a small whiteboard used to capture only positive events caught the attention of people all over the world and helped a family survive the emotional and physical struggles of their baby daughter’s three open-heart surgeries. It is primarily intended to help those families that are about to embark on a difficult pediatric medical situation. But the main lesson of the book is advantageous to anyone facing adversity. Included is a perspective written by one of the Cardiac Intensive Care Unit nurses who cared for the child during the most stressful moments.